Southern Pumps is a marketing and manufacturing service organization with an extensive range of pumps. Our pumps are suitable for water, aggressive, volatile, viscous, contaminated and heating or chilling liquids. 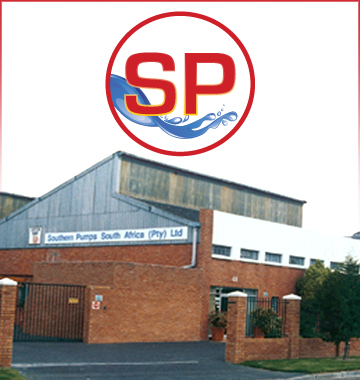 Southern Pumps are operating on a variety of applications within the process industry, marine industry, food industry, power stations, building services and manufacturing systems. Experience and know-how have been achieved in solving liquid transfer problems for more than a hundred years in all facets of liquid transfer, particularly on viscous liquid and self-priming applications. Our customers – quite rightly – demand more and more operational reliability from their pumps. In addition, they must be simple to maintain, reliable, energy-efficient and suitable for a wide range of applications. Your solution lies in Southern Pumps. In short, Southern Pumps gives you the certainty you have been seeking for so long. Southern Pumps after sales service and maintenance is second to none, with fully equipped workshops and 24 hour emergency services, ready to meet all customer needs. Trained personnel are available to cover installation, maintenance and the prompt dispatch of spares. © 2017 Southern Pumps. All Rights Reserved.